While Michael Bisping was excited to test his skills against a fighter as accomplished as Yoshihiro Akiyama, Sexyama was pleased to get an opportunity to face the Brit on his own turf. Sexyama has become quite the celeb in the Orient himself. The judo specialist/mixed martial artist/part-time model’s stock skyrocketed after marrying Japanese cover girl Shiho Yano. 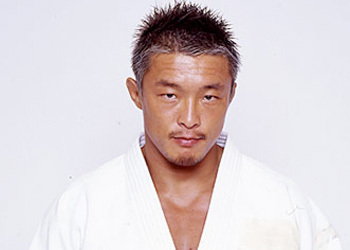 While Akiyama appreciates Bisping’s fame, he also understands “The Ultimate Fighter 3″ winner has a solid game MMA as well. Akiyama owns an impressive 13-2 resume, however has yet to showcase his superior skills inside the Octagon. Despite being a significant favorite over Alan Belcher in his UFC debut, the Japanese superstar eked out a razor-thin split decision that could have gone either way. He was submitted by Chris Leben in the closing ticks of their UFC 116 contest in his last outing. Although he entered the Octagon with much hype in 2009, back-to-back losses could have his head on the chopping block. The middleweights will headline UFC 120 inside the O2 in London, England on October 16th. Although the scrap was just announced yesterday, the sportsbooks have already spoken and they pegged Bisping at -275 to Akiyama’s +190.